Wholesale Closeout Furniture Liquidation, Closeout Furniture salvage Closeouts, surplus Closeout Furniture Overstock, Closeout Furniture clearance merchandise. 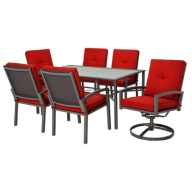 High-End Home and Office Furniture Distributor of Closeouts and Liquidations! We are a major home and office furniture distributer closeout wholesaler and exporter in the USA. We stock items such as desks, chairs, supplies and much more! 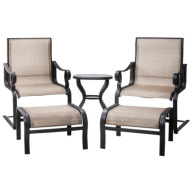 We sell both flat-pack or "knock-down" (KD) furniture, as well as preassembled units. Contact us to find out more about our extraordinary prices and inventory. Click here to request more information on wholesale high-end home and office furniture by the pallet, piece or truckload. all at below wholesale prices! Ashley's Furniture Store: All new overstock furniture. Loads may contains a mixture of Dining Tables, End Tables, Coffee Tables, Headboards, Footboards, Chairs, Entertainment Centers, Computer Desks, Bar-stools, pedestal, Bookcases, Dressers, Accent Tables, Vanity Fairs, Nightstands and much more. Please call for merchandise availability. FOB Fort Smith, Arkansas. Coaster Furniture: Loads may contain a mixture of: sofas love seats, sleepers, living room chairs, recliners, convertible sofas, chaise lounges, ottomans, slip covers, settees, reclining furniture, leather sofas, sectional sofas, club chairs, recliners, chairs, leather furniture, microfiber furniture, cowhide, coffee tables, lighting, rugs, wall decor, mirrors, and more. Call us for super-low prices! Online Target Baby Items & Furniture: Contains shelf-pulls, overstock, and some super clean returns items. Huge variety of items: dressers/chest combos, armoire/hutches/Glidder, Rockers, Ottomans and much more. Each pallet is approx. 6' tall. Your cost is as low as $599 per pallet. Minimum order is 3 pallets. F.O.B Florida. Target.com Furniture Load: Mixed furniture: items may include sofas, loveseats, chairs, beds, dressers, chests of drawers, tables, chairs, table pads, mattresses, box-springs, recliners, reclining sofas, cocktail tables, end tables, TV console cabinets, desks, bookcases, and much more. Please call for a super low price! Home Decor Furniture: Huge selection of pre-assembled furniture: dining and coffee tables, bookcases, bar-stools, pedestal tables, and much more. Call for merchandise availability and prices!!! FOB Mexico. J. C. Penney Non-Con Furniture Loads: Huge selection of pre-assembled furniture: Bed Rooms, Dining, and Coffee Tables, Bookcases, Bar-stools, pedestal Tables and much more. Your cost is pennies on the wholesale dollar. FOB Wisc. Please call for merchandise availability. 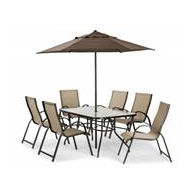 Home Depot Patio Furniture Loads: Huge selection of brand-named furniture merchandise. 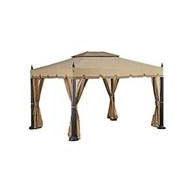 May include a mix of tables, chairs, gazebos, pergolas, benches, gliders, patio umbrellas, fire pits, stools, chaise lounges, dinning sets, sofas, loveseats, and much more. Please call for more details. Ashley Furniture: Huge selection of pre-assembled furniture: Bed Rooms, Dining and Coffee Tables, Bookcases, Bar-stools, pedestal tables and much more. Your cost is as low as $7500 per load. Each load contains 80 to 120 huge pieces. FOB PA and Orlando, Florida. ON SALE NOW! 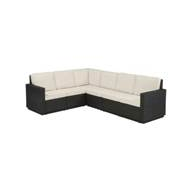 Exclusive Import Offer: All New Furniture 1st Quality: All new 1st quality assorted furniture from European manufactures. Huge selection of items such as: Dover Kapitone Corner, Kreativ Corner, Monte Carlo Corner/Bed Storage, Dover Universal Corner, Picasso Armchair, Shanghai Click Clack, Country 2+3, Rimini Buffalo 3+2, Fleurus with bed and much more. Assorted of Leather Furniture, Fabric and Vinyl. Each 40' load contains approx 56 pieces of furniture and approx $89,000 value. All made in Bulgaria. Your cost is as low as $19,000 per load. This load will be shipped on a 40' container FOB Miami. Shipped within 30 days. Deposits are welcome!!! Order now and reserve your load!!! Ongoing Deal!!! Furniture/Hardline From High-End Department Store Code #3: Huge selection of high-end brand names Upholstery Furniture. Loads may contain a combination of returns, scratched and overstock items: Beds, Dining and Coffee tables, Bookcases, Tables, Chairs, Wall-Units, Headboards, and more. Prices start at $8900 per load. FOB NJ. 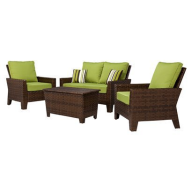 Or Florida.Also new overstock loads of furniture available. Please call for prices and merchandise availability.FOB NJ Or Florida. ON SALE NOW!